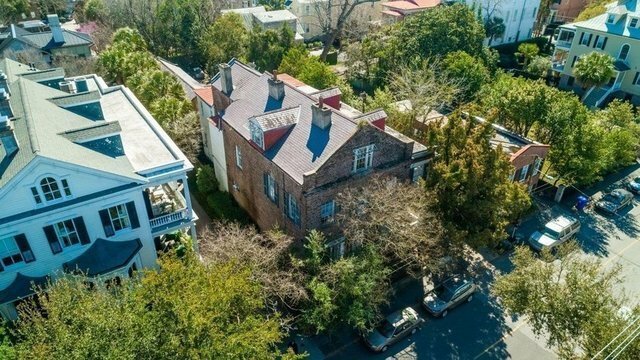 Beautiful investment property downtown Charleston, with 6 separate units. Walking distance from MUSC and College of Charleston. 12-15 off street parking spaces. 10 bedrooms in the main house with 15 ft cellings and hardwood floors. The rooms are spacious and beautiful. Most of the bedrooms and great rooms contain large fire place with beautiful mantles. There is a glassed in porch as well as an exposed porch, great for people watching. All of the windows in the main house over look different sections of historic Charleston. The carriage house has four bedrooms central air and exposed brick. The carriage house is completely detached from the main house and is full of southern charm.